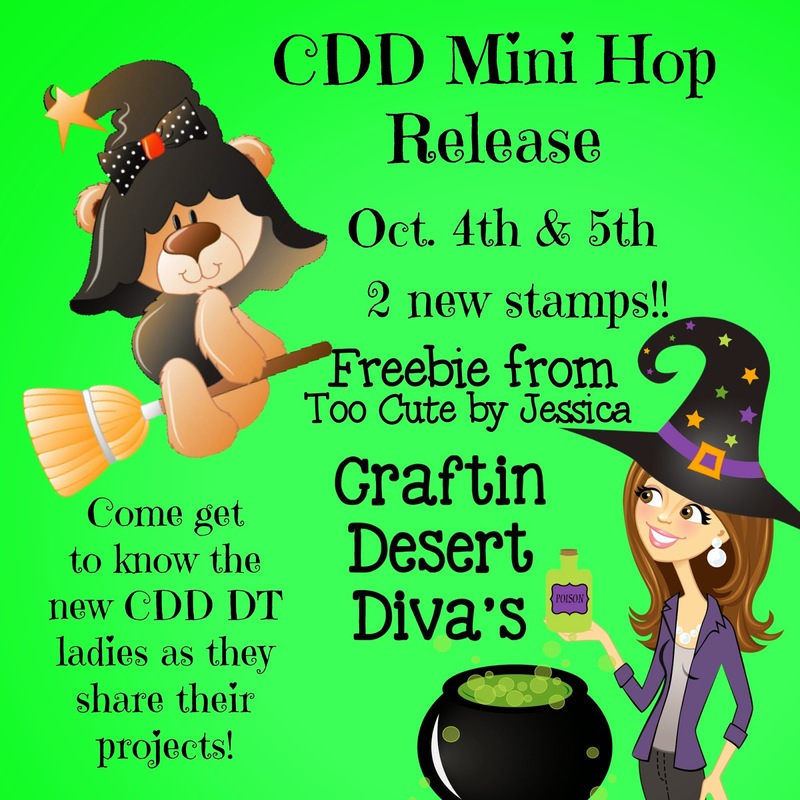 Craftin Desert Divas Blog: The Boo Crew FB Hop Winners!!!! I would like to invite you all to our mini hop blog release this weekend. We are releasing 2 new stamps!!! This hop will be with our new CDD DT ladies. You are in for a treat. We will also have a freebie Too Cute by Jessica pattern link hidden in the hop for everyone!!! Prize winners please email Mrodriguez860@hotmail.com please include in the subject line: What you won. Thank you so much for hopping with us!!! Thanks so much and congrats to all the winners!! Great hop and amazing inspiration and talent!! Thank you so very much! So excited! Congratulations to all the other winners and thank you for such a wonderful hop! Congratulations to all the winners. So happy for each and everyone of you lucky crafters. Oh. My. Gosh! Thank you so much! I'm so excited to be a winner, and it was such a fun hop!! Looking forward to the next one. Oh. My. Gosh! I'm so excited to be a winner! Thank you so much. It was a great hop. Can't wait until the next one! Thank you very much! Congrats to all winners! I'm super excited that I won a wonderful prize.